Cat and Mouse is another detailed piece of work of the Millennium Falcon on the Star Destroyer’s bridge as she evades capture once again. The Star Destroyer looks magnificent, doesn’t it. Again, at $300 i’m going to have to pass. 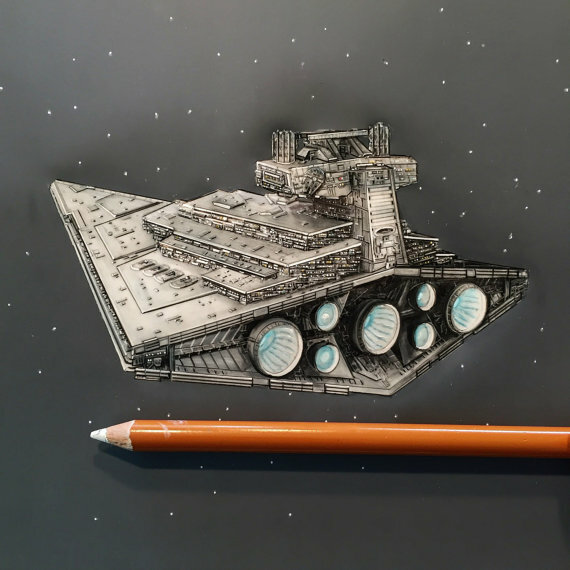 This entry was posted in Art, Things that i don't have yet... and tagged Art, Jeremy Ennis, Millenium Falcon, Millennium Falcon, Star Destroyer, Star Wars. Bookmark the permalink. I hear you. Still, its an original and it’s small size would make it a great conversation piece.